Medu Wada is a traditional South Indian breakfast /tiffin dish. 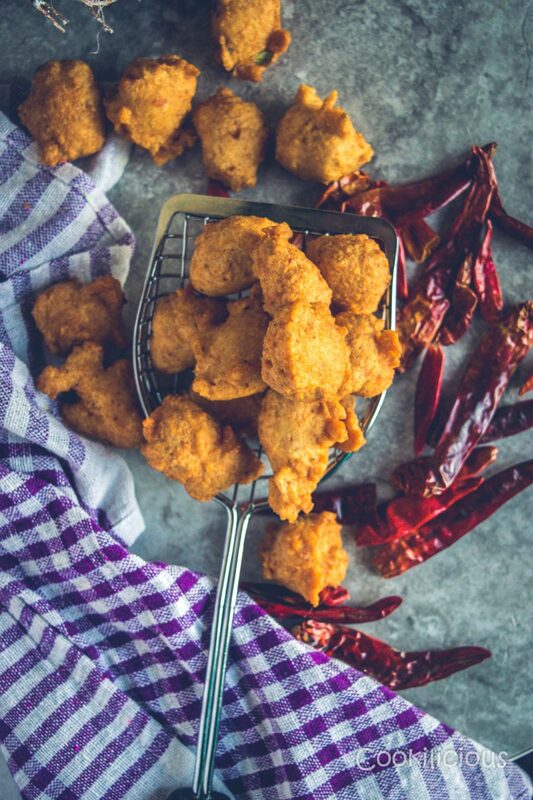 It’s popular all across India not just in everyday cuisine but also as an indispensable part of the menu on special occasions like festivals and weddings. 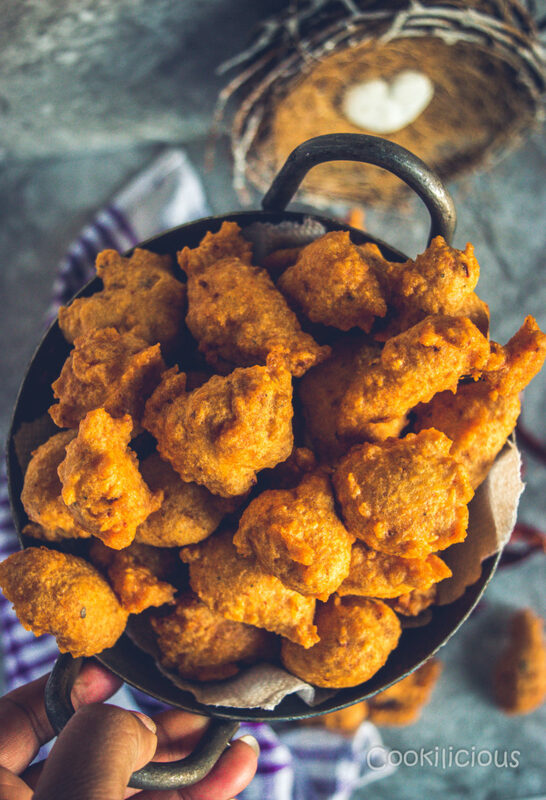 Made with urad dal/black lentils, this fried crispy snack is delicious to taste & easy to make. 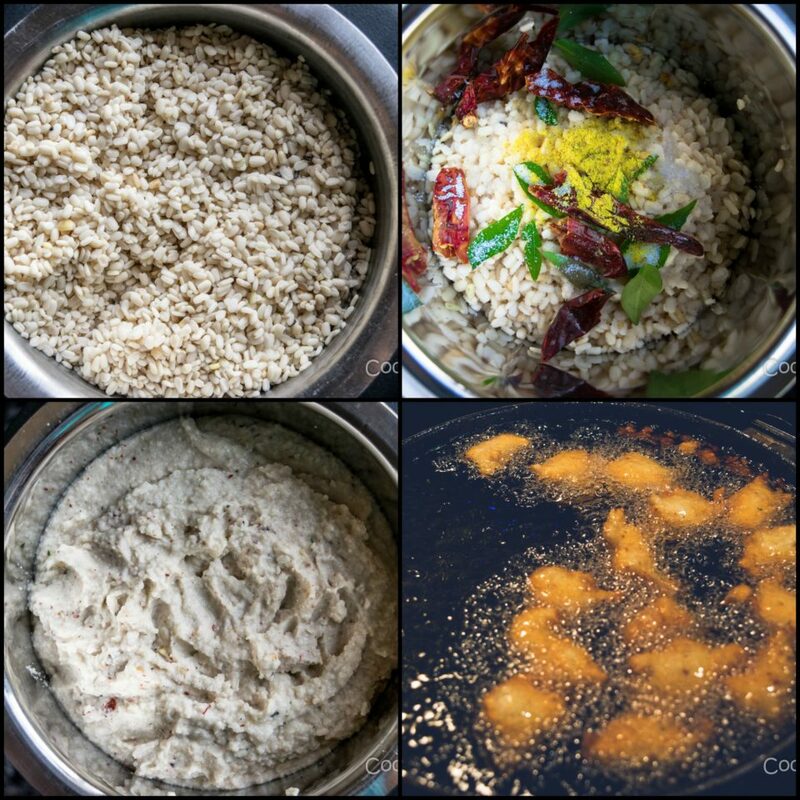 South Indian food has so much versatility! Growing up, we never realized how amazing our food was because for us it was just everyday food. When in college, I saw my Gujarati friends go ga-ga over my lunchbox, I was surprised and intrigued. When I asked my mom about it, she mentioned that she too had noticed this when she moved to Bombay post her marriage to my dad. She told me that she would find it quite amusing when neighbors would come to ask her recipes for Idli/Dosa/Sambhar and Medu Wada. Only moving to this city made her realize that South Indian food was loved by all and it had gained a popularity that she had never imagined. Having experienced something similar myself, I felt a bit proud of me being a South Indian and of having experienced the food first hand. 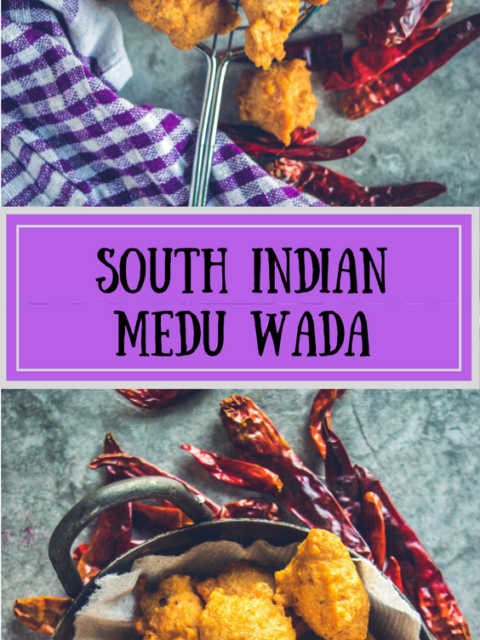 I have been around South Indian food all my life but for some weird reason, I was never a fan of Medu Wada. As strange as it sounds, its true. I have been ridiculed by my family and friends all these years for disliking this lip smacking snack, medu wada. There is no particular reason for my dislike but whenever my mom made this, I would barely touch it. She would prepare it as an offering to lord Hanuman and therefore insist me to at least have 1 wada as it was considered as prasadam. I would unwillingly take a bite and that was it. 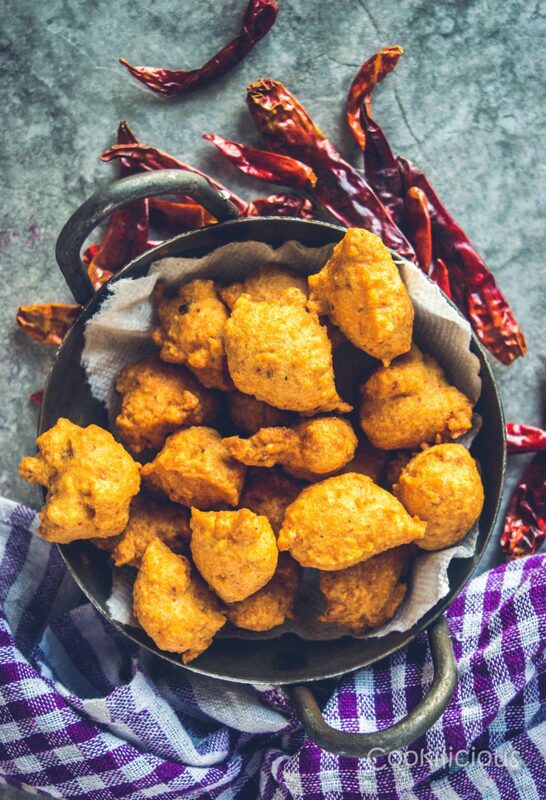 I have always preferred Masala Dal Vada/Lentil Fritters over this. Since I never ate this when my mom made it, I chose to give up on it after her. The logic being, if I didn’t eat the ones made by my mom, I could not eat those made by anyone else too. That is the reason even today I am unable to eat medu wada but have no qualms of making it for others. for frying. Now the traditional way of shaping the wada is by flattening it on a plastic sheet, creating a hole in the center and then dropping it in hot oil. It looks like a doughnut. But it is a complex process for me, so I fry them shaped as small balls using a spoon. It works for us. Serve these dumplings in hot sambhar. Wada Sambhar as its called, is a favorite and popular delicacy in India that is also served in restaurants for breakfast. I may be one of the few who do not like it for no reason at all but that shouldn’t stop you for making it. It is a popular vegan snack for a reason right! 🙂 If you do try this recipe, please do share it with your friends on Facebook, Twitter and Pinterest. This will keep me motivated to develop more interesting recipes. Click a pic and post it with the hashtag #cookiliciousveg . I would love to see your pictures on Instagram, Facebook and Twitter! Medu Wada is a traditional South Indian breakfast /tiffin dish. Its popular all across India not just in everyday cuisine but also as an indispensable part of the menu on special occasions like festivals and weddings. Made with urad dal/black lentils, this fried crispy snack is delicious to taste & easy to make. The recipe is super simple. Soak urad dal/split black lentils for an hour. Drain the water and transfer it to a mixer grinder. Add curry leaves, asafoetida,dried red chillies and rock salt to it. Blitz to a smooth paste. Water is not required but if needed add 1-2 tbsp of it to help in the grinding process. The batter should be thick and not runny. Heat oil for frying. Now the traditional way of shaping the wada is by flattening it on a plastic sheet, creating a hole in the center and then dropping it in hot oil. It looks like a doughnut. But it is a complex process for me, so I fry them shaped as small balls using a spoon. It works for us. Serve these dumplings in hot sambhar. To prepare it in less oil, you can fry the wada in an appe pan. 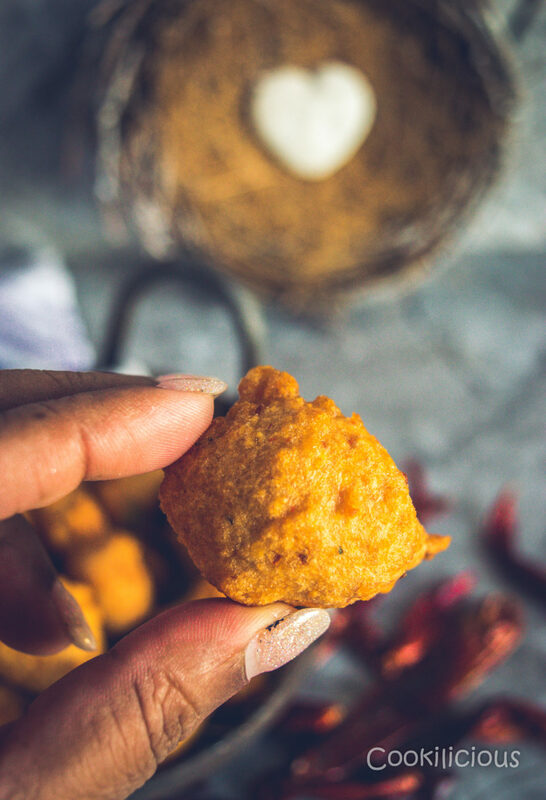 While these Medu Wadas make for a great party snack/appetizer besides it being a great option for breakfast, here are some other recipes that you can try. Black Rice & Chickpea Fritters, Zucchini Bhajiya/Fritters, Moong Dal Bhajiya/Lentil Fritters, Cabbage and Onion Pakoda, Beet Leaves Sabudana Wada, Steamed Bajra Muthiya/Dumplings Snack, Kobichi Vadi | Steamed Cabbage Cakes, Moong Dal Sticks, Cheese, Rice & Methi Kebab With Tater Tot Stuffing, Edamame Hara Bhara Kebab and Tomato Thokku Stuffed Puff Pastry Pinwheels Recipe.